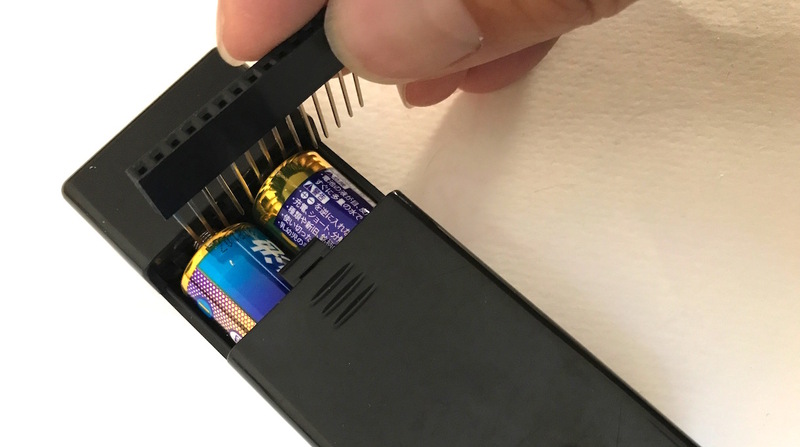 The mobile battery sold in 100 yen shops (Seria, DAISO) is useful at IchigoJam workshops. But you are worry about the battery, aren't you? I made a useful battery checker for IchigoJam on IchigoJam. LED notices you about the battery. つくりかた - How to build. 1. ちょうど良さそうな長ピンソケット Find a long pin socket. 2. 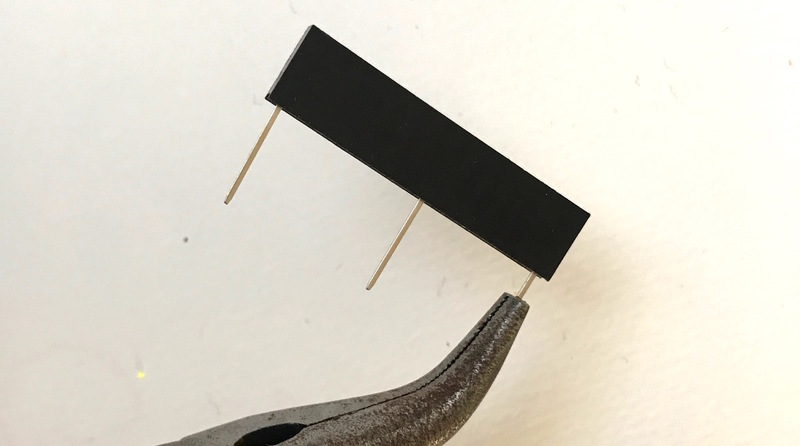 ちょうどいい2ピンを除いて引き抜く Remove pins without just fit 2 pins. 3. 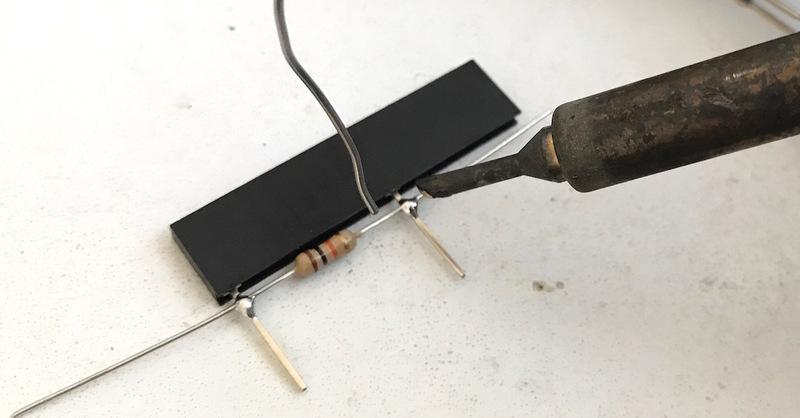 プルダウン用10kΩ抵抗をはんだづけ Solder a 10kΩ resistor to pull down. 4. 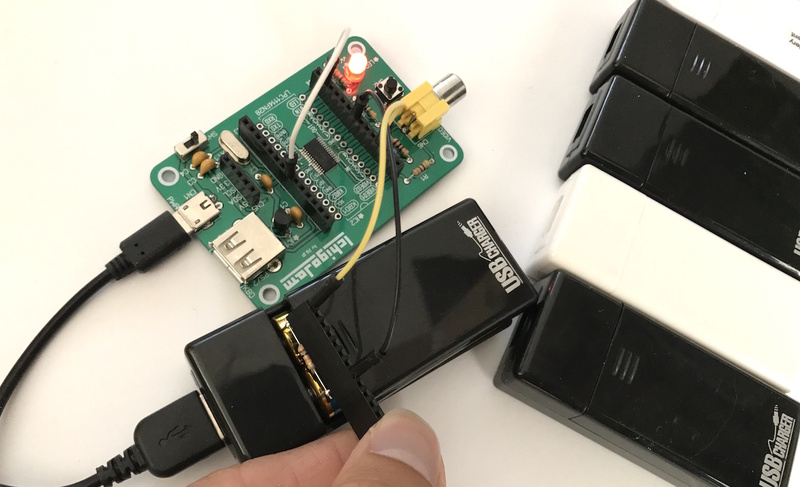 IchigoJamのGNDとIN2へ接続する Connect to your IchigoJam GND and IN2. 6. 自動起動用にGND-BTNをつなぐ Connect GND-BTN to boot automatically. It can check own battery level! 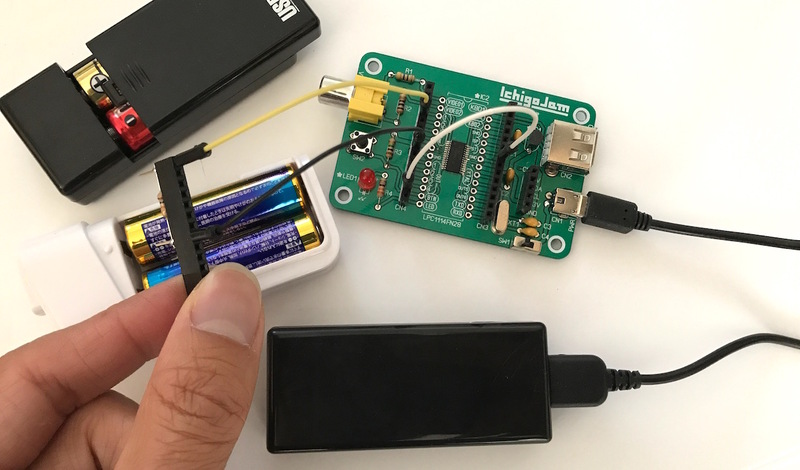 DAISO mobile battery can work about 30min with a 5V-12V DC-DC cable and 4.3 inch monitor!